How could LEGO celebrate May the Fourth? The beginning of May has gradually become an important period for the LEGO Star Wars theme as an exclusive polybag is often produced along with the new Ultimate Collector Series model, in celebration of May the Fourth. 75244 Tantive IV was revealed yesterday and while this might not be an Ultimate Collector Series set, an exclusive promotional item will probably become available for May the Fourth. We can therefore suggest which May the Fourth sets or minifigures would be most exciting, especially during the twentieth anniversary year of LEGO Star Wars. Miniature versions of R2-D2 and BB-8 were released for May the Fourth in 2017 and 2018 respectively. Those models were well-received but the droid triumvirate would not be complete without C-3PO so he might be an appropriate item for 2019. Of course, C-3PO is significantly taller than his counterparts but examples such as 40289 Diagon Alley and 40334 Avengers Tower demonstrate that LEGO is willing to produce larger promotional sets. However, constructing a larger model which is intended to be golden might be difficult. Relatively few pieces are available in pearl gold and I think designing C-3PO in any loosely comparable colour, such as dark tan, would be inadequate. In addition, numerous printed parts or stickers would be required to capture subtle details, especially since C-3PO would only measure 13.5cm in height if properly scaled beside 30611 R2-D2. The entire twentieth anniversary product range is focused upon remaking previous popular sets and I can imagine that trend continuing for May the Fourth. Of course, there would only be an opportunity to update a small set for a promotional item and 7101 Lightsaber Duel, released towards the end of 1999, therefore seems to be an excellent candidate. Classic minifigures are an integral feature of the twentieth anniversary range so I wonder whether this set might contain the original Qui-Gon Jinn and Darth Maul minifigures. The necessary pieces are already available so the only update would be required on the back of each torso. Furthermore, nearly four years have passed since the previous Bloodfin model was produced for 75096 Sith Infiltrator so a new rendition could be interesting. LEGO produced several exclusive minifigures for May the Fourth between 2011 and 2016 and I think returning to that series may be suitable for the twentieth anniversary. Numerous important characters remain absent from the LEGO Star Wars range and they include Nien Nunb, Saw Gerrera, Beru Lars along with many aliens from the Mos Eisley Cantina. The most likely minifigures are probably those which would not necessitate new moulded components as exclusive figures rarely include such parts. On that basis, Beru Lars could be appropriate, although releasing that minifigure would probably provoke limited excitement, especially among younger LEGO Star Wars fans. Nien Nunb is similarly possible as past Sullustan minifigures have not featured unique moulded heads. 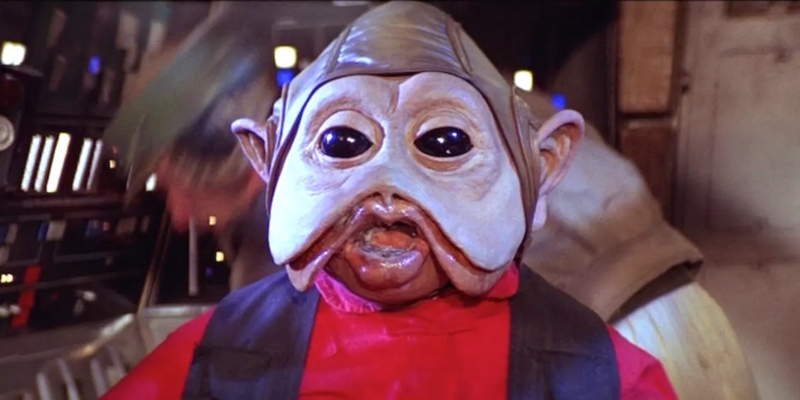 However, I think a specialised head would be most suitable here and can imagine Nien Nunb appearing in a standard set in the future. I would prefer that minifigure polybags were reserved for characters who are unlikely to appear anywhere else, such as the next potential candidate. Star Wars Episode I: The Phantom Menace has inspired an excellent selection of sets and minifigures but Shmi Skywalker is not currently available. That is slightly surprising given her pivotal role, although Shmi could only realistically appear in sets from the Boonta Eve Classic or her home. Neither prospect seems likely so this might be a great polybag, especially for the twentieth anniversary of The Phantom Menace. On the other hand, there appears to be little demand for a Shmi Skywalker minifigure. May the Fourth also provides an opportunity to create unique versions of existing minifigures. 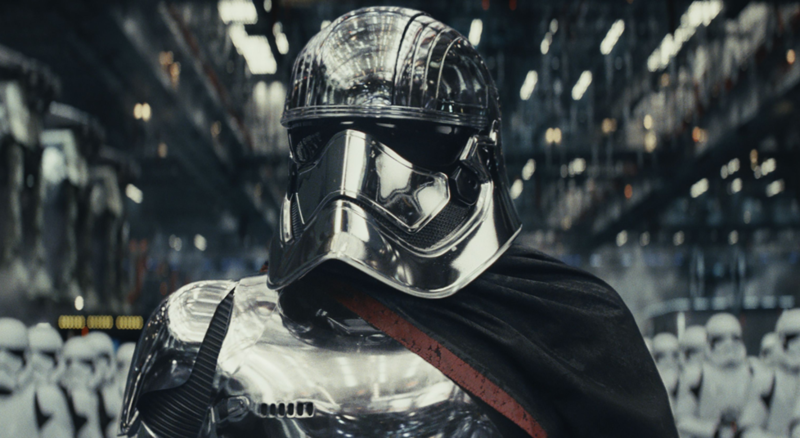 Chrome elements have become relatively rare in recent years but many LEGO Star Wars fans have expressed their desire for a chrome version of Captain Phasma. That would suit the character perfectly so seems quite likely in some respects. However, producing chrome pieces also presents challenges. New moulds are necessary to provide room for the chrome finish and the chroming process is expensive. Moreover, it has been associated with negative environmental impacts. For those reasons, I think a chrome Captain Phasma minifigure seems unlikely, although it would certainly be appealing. 75244 Tantive IV will become available on the 3rd of May and should coincide with the May the Fourth promotion. An accompanying exclusive minifigure might therefore be suitable, in which case the Rebel Friend from the LEGO Star Wars video games is possible. This unusual character has developed a strong following among LEGO Star Wars fans and could definitely be produced in a polybag, requiring only a new torso design and perhaps a unique head. Alternatively, LEGO could produce something based upon a deleted scene from Star Wars Episode IV: A New Hope. Luke was originally introduced while viewing the battle between the Tantive IV and a Star Destroyer from the surface of Tatooine. This simple scene could easily become a small promotional set, containing a Treadwell droid, a moisture vaporator and an exclusive Luke Skywalker minifigure! The exclusive minifigure introduces a possible issue with this concept, unfortunately. 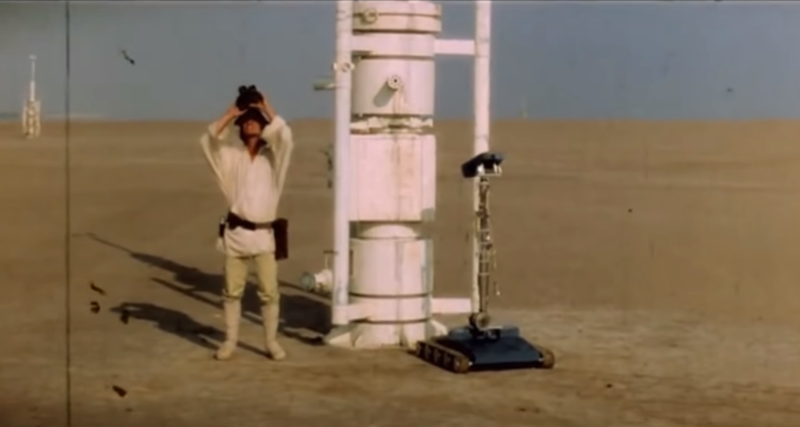 Luke Skywalker sports a distinctive hat during the scene which might necessitate a new element. However, I think the existing accessory worn by the Scarecrow from the eleventh series of Collectable Minifigures may be an option, albeit in a new colour. LEGO could therefore produce this promotional set without too much difficulty or expense. What would you like LEGO to produce for May the Fourth? Let us know in the comments. Either Schmi Skywalker or Beru Lars, preferably. I might buy the Tantive IV on May the 4th depending on the exclusive minifigure/small set. 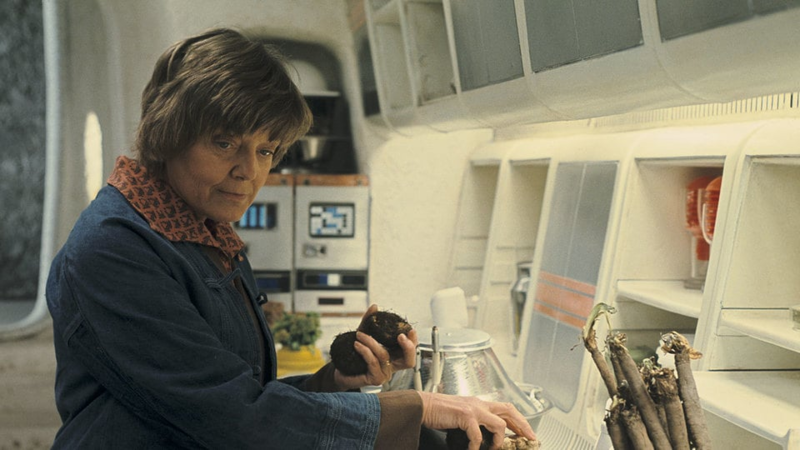 EDIT: On second thought, maybe Beru would be better for a Lars Homestead set. You had me at rebel friend. It would be simply awesome to see a new rendition of the classic Lightsaber Duel! When they first announced the 20th anniversary lineup I was really surprised that they didn't include this little, yet terrific set. My hopes went up when they revealed the Duel on Starkiller Base, but I'd be delighted to see it as a promotional polybag. It's just a perfect occasion. The Ebon Hawk with both crews. A small build of an iconic battle scene could be interesting. Would rather not a Phantom Menace fig/build although it is the 20th anniversary of that film so it would be justified. 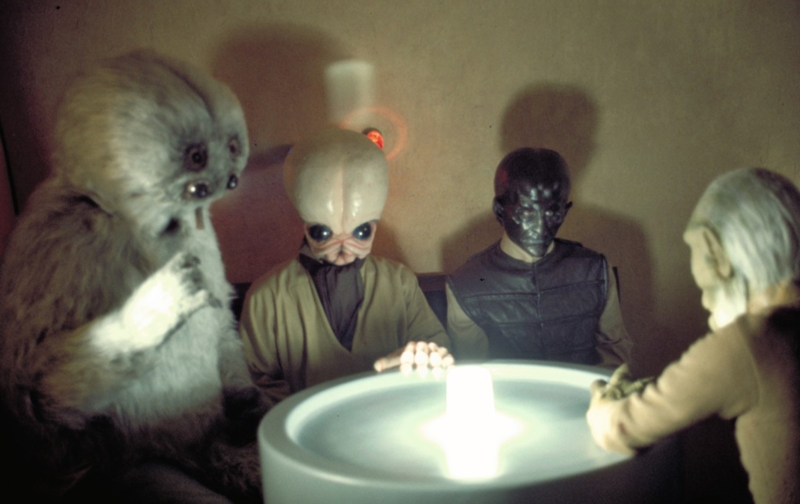 I'd most like something from the original film like a cantina character. Very much looking forward to whatever they come out with as I am waiting until then to purchase the 20th Anniversary sets so I can hopefully get double VIP points. Personally, I think Jedi Bob would be a great May the 4th candidate for the 20th anniversary because he symbolizes everything great about Lego Star Wars. Getting that Vader Castle finally on May, have you heard about the contest? Wouldn't be surprised to see a new "old" Lando figure, to use in any of the Millennium Falcon models, in line with the new movie. I'd love to get Rebel Friend. But only if he looks like his in-game counterpart with only the minimal amount of detailing! 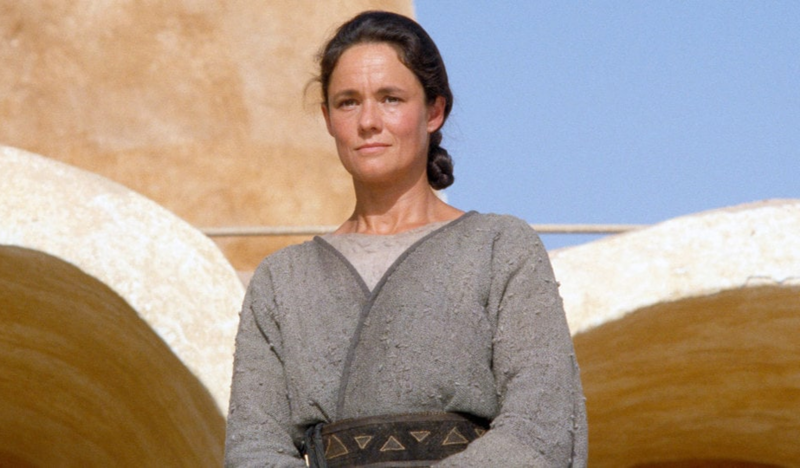 "Shmi could only realistically appear in sets from the Boonta Eve Classic or her home" Or a recreation of the scene where Anakin exterminates the Tusken village. Oh, of course, LEGO would never produce such a set. Silly me. @SirZed - #7113-1 Tusken Raider Encounter was designed while Star Wars Episode II was in development so bears little resemblance to the scene from the movie. I think the chances of a Shmi Skywalker minifigure based upon that scene are minimal, although stranger things have happened in LEGO Star Wars! How about Jedi Bob ?? Why not a scene of when the Empire forces entry? Or of R2 getting the Death Star plans? I doubt it would happen, but I wouldn't mind seeing a 20th Anniversary Boba Fett. Boba Fett from the Holiday Special, please. 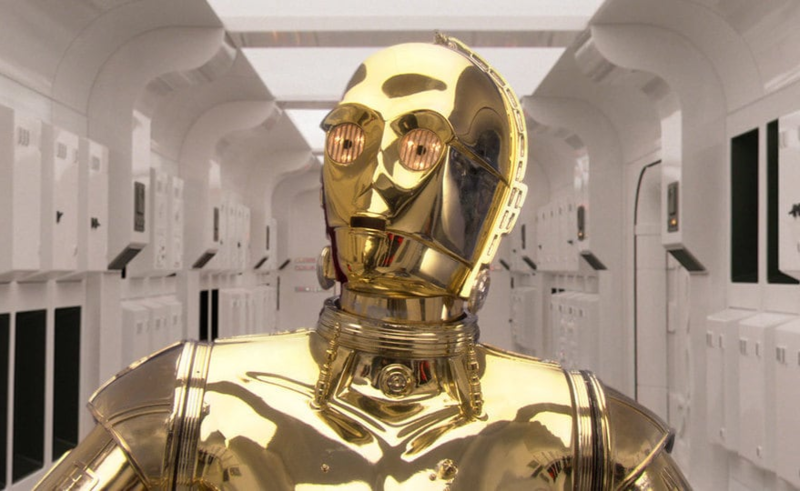 Chrome Silver Captain Phasma or Chrome Gold C-3PO would be worthy of a 20th anniversary. Or a huge poster of every SW Mininifigure similar to 10th anniversary one. Lego didn’t do an April fool... it would be funny if a standard clone trooper was the ‘exclusive minifigure’. I have a feeling that an exclusive figure would be an old figure, like 1999 Darth Maul. I would love to see a Nien Numb minifigure with a unique moulded head or a "Rebel Friend" from the LEGO Star Wars video game, if it has an updated head and torso. Would love to see a cantina patrons battle pack. Spend $200 and get a 'FREE!' LEGO Star Wars reusable bag! And a poster if you spend $100! You people have way too much expectations. They should honor the run of new movies by releasing a Darth Mickey minifig. 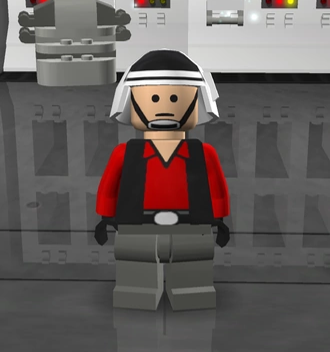 I would like the Imperial Spy Garindan from Episode IV because he appeared in the "Lego Star Wars II : The Original Trilogy" video game years ago. I'd like a gold plated C-3PO please! I really like the idea of the Luke Skywalker set with him looking up at the space battle unfolding. It would be an awesome inclusive addition to the Tantive IV set. If nothing else, I might just go and build this myself. Luke Skywalker (orange flight suit, blonde hair) as a KEYLIGHT please!